eBay sellers who work every day in the trenches have unique insight into what works and what doesn't when it comes to online marketplace selling. 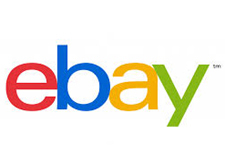 Today, an eBay seller who wishes to remain anonymous shares tips on how he optimizes his listings to take advantage of eBay's new Cassini search engine and what has worked for his eBay business. See if his tips could work for you. Cassini. You've probably heard the name. Some people think that it's a frightening demon driven by Satan and others have heard that it's something strangely complicated and terribly counterproductive. Some sellers don't even know that it exists. One seller I knew swore that Cassini was a Conductor at the Metropolitan Opera. But it's not, it's just the nickname of eBay's search engine, and once you understand how it processes information, then you can go on to harness it and make it work for you. You can do this predictably and reliably so that when sales go seasonally down, yours won't go down as much and when sales go seasonally up, yours will go up more. Cassini uses algorithms that match a buyer's search term with your product details, the price, the age of your listing, the quality of your item, shipping cost, shipping time, your feedback rating, the number of viable items you have listed, your sell through ratio, your return policy, your compliance with eBay's regulations and thousands of more mundane points. Whatever product has the highest score in that category goes on top and is seen and often purchased first. In simple terms all that can be condensed into 11 basic rules. 1) Feedback. No matter who you are, no matter what your DSR ratings are, and no matter what gauge you've thought up to measure your level of success on eBay, you are still just one bad sale away from receiving negative feedback. No matter what else happens or what distractions get in the way, from the day you open your account until the day you close it, you are on a mission to prevent that from ever occurring. There is a very profound economic reason for doing this and it can all be summed up in the following seven words. buyers don't like sellers with negative feedback. If you have poor feedback, Cassini lowers the placement of your items. Ditto if you have any open resolution cases or compliance notices. Don't underestimate the significance of that. A single unresolved case against a 10-year eBay veteran with 3000 sold items and a perfect 5.0 dashboard will ruin the placement of their items in Best Match. When you receive a notice that a case has been opened against you, your DSR rating, your sales volume and your tenure all mean less than the importance of resolving the case and making that customer and/or eBay satisfied. The only thing that matters is to find a solution to get that case closed fast - not tomorrow or the day after, because Cassini has already lowered the placement of all your other items in Best Match. Your sales will not recover until you resolve that issue, so fix it as fast as possible and make the customer happy. Yes, sometimes that's hard to swallow, but I just write it off as a cost of doing business and then occasionally I ban a problem buyer to make myself feel good. If someone leaves negative or neutral feedback, you have to fight to get it changed or removed. You may have to work something out with the buyer to make them satisfied or, if it's an issue that's definitely not your fault then you must - and I mean MUST - get Customer Service to remove it. Often this can be done and it will definitely involve lots of time and aggravation, but it really pays off. If you have a track record of negative feedback, there are other issues in play. There's nothing you are going to learn here that's more important than making each and every one of your customers completely satisfied with their experience of buying your products on eBay. After your customer's initial buying experience, their first hands-on impression is the shipping package. I mention this because some of the items I purchase come in the most idiotic packaging that you could imagine. Some of it is so ridiculous that I become suspicious and prejudge the sellers' intentions and intellectual ability before I even get the thing open. Whatever you choose to send to your customers should be neat, professionally labeled and adequately strong to protect the item. When the client opens the package, they have to feel that the item is as good or better than whatever you said in your description. I accomplish this by intentionally making things sounds a little bit worse than they actually are. When the customer sees that what they bought arrived safely because it was packaged with care and is better than what I described, then they are satisfied with their experience and are more likely to leave very favorable feedback and buy from me again. 2) Free Shipping. If you have a $10 item with $4.50 in shipping costs, you'll likely sell more and make more charging $15 and giving free shipping. Why is that? Because people perceive free shipping as something wonderful and they buy far more items that have the shipping costs built into the price. When you are in that zone, Cassini likes you more and moves you to a higher level in Best Match. 3) Sales. The $10 item we just discussed that sells more if it's priced at $15 with free shipping will sell even more if it's priced at $20 with 25% off. The sum of this, by the way, is still $15. This is basic marketing. Just remember, Cassini likes sales, which is the reason why you should like them too. 4) Returns. This is very simple. The longer your return period, the higher your sales will be. A long return period makes a buyer feel comfortable from making a purchase from a seller that they don't know. A no-return policy makes a buyer suspicious, and if you combine that with some bad feedback, you might be better off starting over with a new user name. Each seller has to balance this sales advantage against the practicality of offering a return policy with their particular products. Here's a true story on this same subject that might as well be called "The Parable of the Woman With the Chicken Cutlets." Someone I know owns a food market. One summer day a woman came in with a package of smelly chicken cutlets that she purchased three days before and left in the trunk of her car. She said to the owner "I want to return this." The owner smiled and refunded her money. Then he gave her a free sample of cheese. My first impression was he was crazy to do that and he replied "No, the woman was clearly wrong but she's also someone who purchases $50 a week in groceries from me. If I didn't give her that $6.50 refund and make her happy, even under these circumstances, she would never come back or have anything nice to say about this store." Now remember this timeless marketing formula. One dissatisfied customer tells somewhere between 8 and 20 other people why they are dissatisfied. Do you want them speaking this way about you? 5) Sell Through Ratio. If you're the type of seller who always has the highest prices in your category, you will generally have the lowest sell through ratio. If that's true, you get penalized in Best March for wasting everybody's time. Cassini rewards winners and penalizes losers so don't blame that on eBay. 6) Don't Use Good Til Cancelled. New, well priced listings from a reputable seller with high DSR ratings will be automatically placed near the top of the Best Match category for the first day or two and then will slowly move downward as other sellers list their items and they are placed above yours. To make this work for you, don't use GTC, and end every item every 30 days and then relist them. When eBay runs a free listing promotion, take advantage and end your listings early and then relist them for free every few days. I have a lot of products and I get better results spreading them out at 100-200 a day. 7) Sell Similar. Your listings contain a coded history that Cassini uses to favor new listings and downplay older ones. To defeat this and make it work for you, when something hasn't sold after 120 days old, just end it and then use the "sell similar" feature which transfers all the product details but not its listing history. A bulk "Sell Similar" feature is now included in Selling Manager Pro and you can process 50 items at a time. When I first tried this, 12 out of the first 40 items that sold were old stock. 8) HTML. Be careful about putting cut-and-paste material from the web in your item description. Sometimes these contain lots of HTML and, if there's too much code, Cassini will bypass it. Then it thinks your item doesn't have a proper product description and moves it right to the bottom of the pile. I had some items for sale where I copied a few paragraphs of the product details from the manufacturer's web site. They didn't sell and were all on the last page, about 275 items down from the top. Ending them and relisting them made no difference. By accident I noticed that my cut-and-paste of the items product details brought in hundreds of lines of HTML. When I removed that code, each listing floated right up to the top of page 1 and began to sell. Stripping the code manually can be pretty cumbersome, so if you need to cut and paste from the web, which most of us do, one easy way to strip out the HTML is to drop the information into MS Word and save it as a plain text file. This is the one with the.txt extension. Close the original file. Open the .txt file, fix the formatting and then cut and paste that information into eBay's product description. 9) RSS Feeds. Pick a day of the week, Sunday, Monday or whatever, and before you go to bed, turn off your RSS feeds. Six or more hours later, turn the feed back on. This forces Cassini to re-index all of your first 100 listings and it will move them higher - for awhile. If you have a lot of listings, set up a free account on bayfeeds.com and let them process your RSS feeds. This will bypass the 100 listing limit, and then when you turn the RSS feed back on, Cassini will reindex all of them and you will get a good temporary boost. 10) Auctions. If you have all fixed price listings, you should add a few auctions of items that will generate traffic. For every 1000 listings, do at least 5 auctions per month. I like to start mine at .01 with no reserve. Of course, I never sell anything particularly valuable that way, but if you can use your unsold items to generate additional traffic then all of your other products will be given a boost by Cassini. I learned this one from a Top Care Rep and it works. The author of this article wishes to remain anonymous for obvious reasons.